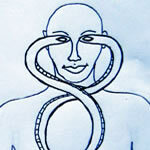 The Body of Perception workshops and trainings include exercises from Em'oceans and Sensations, and from Portals of Perception developed with Hubert Godard. These precise exercises create a strong, flexible and perceptive body/psyche that feeds our posture, vitality, and creativity as we meet, orient and respond to an ever-changing world. The dynamics of how we relate are simultaneously physical and psycho-emotional. We inquire into our core patterns—meeting and healing those that limit us, and enhancing those that bring us openness, connection and depth. in all relational aspects of life. THE BODY OF PERCEPTION PROFESSIONAL TRAINING is for somatic and psychological practitioners, who work with others in bodywork, movement and psychological fields. In individual and partner exercises, we build somatic and perceptive resources, and develop tracking skills of witnessing, resonance, and verbal and non-verbal dialogue. Physical, emotional, and psychological skills that are specific to working with physical structure perception, and relational dynamics. Experiential functional anatomy through movement and palpation exercises brings self-discovery, strengthening, and coordination of the whole body. Attention to our interoceptive sensations and the ways we uniquely experience and make sense of sensory input. Skills to feel, identify, process, and communicate our sensations, needs, and emotions. We deepen our relationship with gravity and perceptual spatial orientation, which builds a strong sense of safety and security; this gives us physical and emotional backing to take risks and meet creative challenges. We perceptively engage the action capacity—the skeletal structure, ligaments, and the striated muscle system to support, protect, and back the container of our soft visceral organs and our emotional expressivity. We bring inquiry to our core, which is first the place where we take in impression through perception of our world, and where we non-verbally express our inner state, our needs and our love. We open a capacity for intimacy—to love and be loved, to touch and be touched—by the whole of creation. 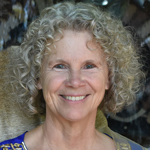 SUSAN HARPER, Continuum teacher, developer of Body of Relating Trainings, and with Hubert Godard co-develops Portals of Perceptions. PILAR MARTIN is a nurse-midwife and somatic practitioner with extensive training in Rolfing, Visceral Manipulation and perceptual awareness. Drawing inspiration from the finest teachers and methods from within the human potential movement, combining it with their own extensive research and inquiry, Susan and Pilar have synthesized a unique and intriguing workshop format. The movement explorations, the Continuum "dives" and the experiential anatomy sessions fostered a heightened sense of somatic awareness and expressivity. The emotional tracking techniques and sophisticated body-based psychological processes brought me repeatedly to the depth of personal insights and self discovery. I left each workshop with invaluable tools both for my own personal development as well as for my work with clients.